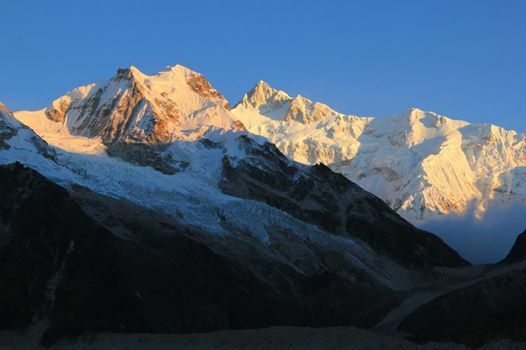 The Singalila Range and Tenzin-Hillary Trail which winds it way towards Mount Khanchendzonga is one of the most famous Eco-Tourism treks in the world. 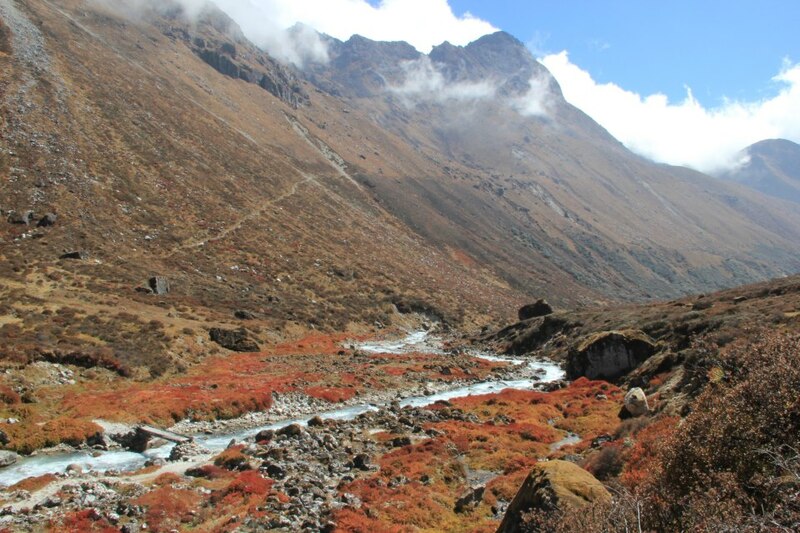 It is also famous for the beautiful lakes of west Sikkim hence also known as “The Lakes Trek”. 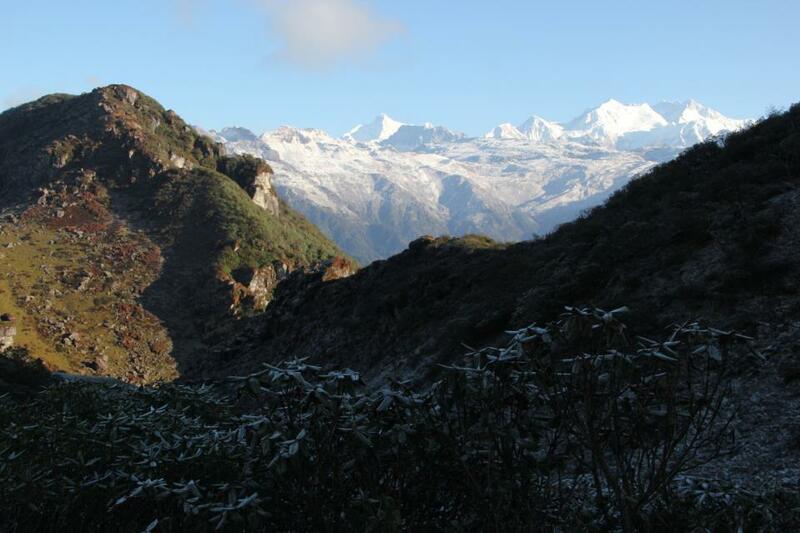 It lies in the heart of Khanchendzonga National Park and has a rich Bio-Diversity. Beautiful forests of Rhododendron, magnolia and abies and many varieties of Primula plus many herbal flowers above the range gives a refreshing journey to the trekkers that take this route, One can see the majestic view of some of the world famous mountains and may also see some rare wild animals like Red Panda, Bluesheep, Himalayan Bear, Snow Leopard and many more. 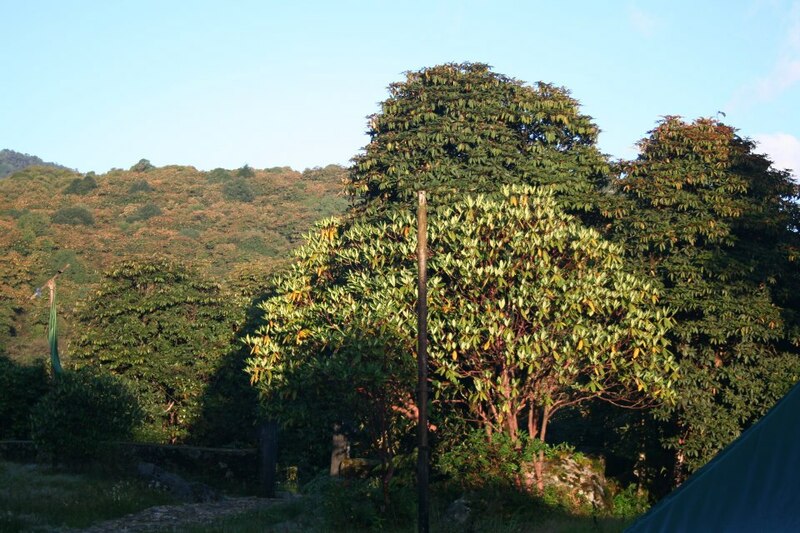 There are many campsites at different elevations in this Range.This is the most famous trek in Sikkim and starts from Uttarey and ends at Yuksam. More than 32 lakes are found on this trek. Such as Hans Pokhari, Lam Pokhari, Jamley Pokhari, Mujur Pokhari, Nil Pokhari, Rakta Pokhari, Laxmi, Pokhari, Doodh Pokhari, etc. All these lakes are sacred and blessed by Guru Rinporche during his visit to Sikkim and all these lakes have deep meaning and stories attached to them. Rising just before dawn, a five-minute walk onto the ridge may reveal the spectacular sight of the sunrising on both Everest and Khanchendzonga. after this we will have breakfast, this days trek takes approx 7 hours and throughout the day we descend and climb, maintaining a steady height, spiraling from one side of the ridge to the other until a rough steep ascent takes us across a pass. Beyond, the trail winds its way steadily through rhododendron forests and past several Hindu shrines where a second easier pass drops down to our camp close to a shepherd’s summer settlement. Look out for the Blue Sheep on the high craggy mountainside. After breakfast We head towards Pokhari, todays trek is on a good trail through woods until we begin a steady rise up a broad valley where we catch our first closer view of the entire Kabru range dominated by Mount Pandim (6,691mtr.). A further 2 hours of ascent will get us to our camp with Everest and a host of other Khumbu giants dominating the distant skyline. An afternoon of rest and acclimatization for the following day’s foot slogging. Now we are in high mountain country and the forests lie far below. For the past two days we have been walking in Nepal-sikkim Border and today we pass the sacred lake of Laxmi Pokhari, which marks our entry back into Sikkim. A little snow underfoot can be expected as we climb to our first pass, the Danphe Bhir La(the Pass of the Pheasant) which is at 4,530 meters, . From here it is possible to see the whole of Sikkim with the view stretching out well into Tibet and Bhutan. A further hour’s contouring and a small ascent reveals the Kag Bhir La (the Pass of the Crow) where we may be lucky enough to catch a towering panorama view of the Himalayan peaks including Khanchendzonga. Reluctantly, we then must head downhill making a steep descent to our riverside camp. After breakfast We will leave our lovely meadow camp to climb through forests of sweet smelling silver fir and rhododendrons. Soon we are in high mountain terrain again. Look out for the brightly colored Danphe birds (Impeyan Pheasant), which nest in the high crags around the Kamsey La, 4,200 mtr. As we drop down into the meadows of Kokling, we are already looking up at our next pass of 4,300 mtr. that we reach with a steady ascent up a steep crag to a skyline dominated by the dizzying pinnacles and icy cliffs of Kanchedzonga. Once again we end the day’s hike with a steep descent to our campsite by the Tikip Chu, which has its source high on the Rathong mountains (6,679 mtr.). Today we will explore the area, with the chance to climb the small peaks near to the campsite for tremendous views of Mt. Khanchendzonga,Mt. Pandim,Mt. Tenzinkhang,Mt,Jopuno,Mt.Kabru,Mt. Rathong,Mt. Kokthang.. This is particularly worthwhile in the early morning and the evening. While you can rest if you wish, there will be a short acclimatization walk around the local area to help prepare us for the next few days. After breakfast, we will make our way to the prek chu river and then on to thangsing, the mornings journey we take you over the top of the valley which is covered in dwarf rhododendrons and many alpine species, you then descend steeply down into the prek chu valley passing through a forest of twisted and gnarled rhododendron trees as you make your way down to the river, after lunch at trekkers hut, you follow the prek chu river towards Thangsing passing glacial moraines and forests of rhododendrons, sorbus and abies with masses of primulas carpeting the forest floor, once reaching Thangsing you are greeted with panoramic views of the Khangchendzonga mountain range, overnight stay in tents. 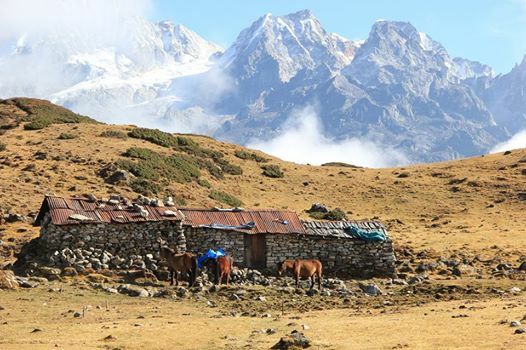 After breakfast we will start the trek to Lamuney passing through alpine meadows of dwarf rhododendrons, primulas and juniper, on this strech of the trek there is a chance to see blue sheep and the only wild yak herd in Sikkim, reach camp overnight stay in tents.